If you attended high school before laptops and tablet computers replaced books and used a landline to make phone calls, you’ve probably heard of CliffsNotes. Often used to help students figure out the intricacies of a novel that was required reading for English class, these handy pamphlets were a sort of a study guide highlighting the work’s key points. 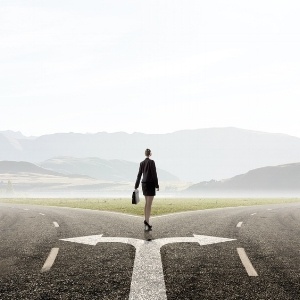 In this blog, we’re offering you a CliffNotes version of tips for selecting a cell homogenizer that best meets your business needs. 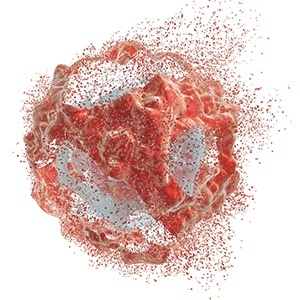 We’ll outline cell homogenization, often referred to as cell lysis, offer key factors for how best to achieve it and provide some benefits on it. Cell lysis, which takes place in biotech, pharmaceutical, food, cosmetic and chemical laboratories on a regular basis, is the rupture of the cell membrane resulting in the release of cell contents and the subsequent death of the cell. Research scientists and laboratory technicians disrupt the cell’s structure to extract organelles, proteins, DNA or mRNA. Cell lysis can be achieved through mechanical or chemical methods. Mechanical cell lysis techniques include high shear mixing, traditional homogenization, sonication, grinding, freeze/thaw cycles and high-pressure homogenization. Chemical cell lysis techniques include osmotic lysis and the use of detergents, chelating agents or chaotropic agents. Intracellular proteins should be accessible for extraction and solubilization. The process should be flexible, as different cells require different cell lysis strategies. The technique should result in a high yield in a short time. The process should be relatively easy to perform. Results should be consistently reproducible and scalable. Of the methods used to achieve cell lysis, the most widely used is homogenization, which offers a multitude of benefits for production laboratories and the consumers who buy their products. It is especially useful for small volumes of cells and/or cultured ones and involves the use of shearing force on the cell. By forcing a small cell through an even smaller-sized orifice, homogenization removes the outer layer and lyses the cell. Some cell lysis products use utilize shear, and others employ sonic cavitation. However, the best choice when purchasing a homogenizer for cell lysis is one that uses shear, cavitation and impact and lets the user adjust the relative amount of each force for different applications. Ease-of-use and low learning curve. Ability to disrupt all cell types. Better results in fewer passes. BEE International offers numerous high-quality homogenizers to meet the needs of any industry for cell lysis. Our laboratory-grade models include the Nano DeBEE, Micro DeBEE and Mini DeBEE, all of which are easy to use, provide consistent and reliable results and easily scale up for full scale production. Plus, they offer maximum experimentation capabilities and the ability to change flow, pressure, shear and impact settings. Contact us today to learn more about our full line of homogenizers. Homogenization, also known as micronization or particle size reduction, is an important process step that is utilized in a variety of industries, including pharmaceutical, biotech, cosmetic, and food. With benefits like improved taste, texture, and appearance, its no wonder that more and more industries are looking to purchase a homogenizer for their manufacturing needs! However, before purchasing your next homogenizer, it is important not only to know what your desired end use is, but the capabilities of the homogenizers in today’s marketplace. One question that is frequently asked regards the capabilities of homogenizers versus a sonicator. If you are interested in learning more about sonication cell lysis and how it compares to homogenization, you are in the right place! Continue reading to learn more about sonication cell lysis, how it compares to homogenization, and what BEE International has to offer in the way of high quality, high pressure homogenization equipment. Sonication is defined as the act of applying sound energy to agitate particles in a sample. It is used for various purposes, including cell lysis, and it is a very powerful technology with both chemical and physical effects. Sonication serves multiple purposes, and is often used for the production of nanoparticles, such as nanoemulsions, as well as nanocrystals, liposomes, wax emulsions, and extractions of compounds such as plant oils and antioxidants. Sonication works to lyse cells very quickly, with most methods taking between 15 seconds and 2 minutes. The intensity of sonication is quite easy to adjust, allowing for gentle or abrupt disruption of cell membranes. The temperature and length of sonication can also be adjusted. Homogenization, on the other hand, involves the forcing of cells or tissue suspensions through a narrow space, which shears the cell membranes. Due to the high pressures associated with homogenization, fewer passes are needed to completely disrupt the cells, making homogenization a quicker (and oftentimes easier) choice for the lysing of cells. Please contact us today to learn more about the homogenization equipment that we have to offer. We look forward to working with you to optimize the homogenization process for your industry. 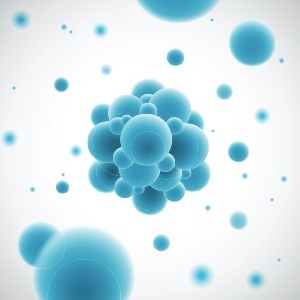 Cell Disruption Methods: Which One Should You Use? Cell disruption is a critical part of the overall homogenization process, and is used by a number of industries, including pharmaceutical, biotech, cosmetic, and food. But where does cell homogenization fit into the overall process of homogenization? What are the different methods of cell disruption? And most importantly, which method should you use? Continue reading for the answers to all of those questions, as well as more information on BEE International and our suite of high quality homogenization equipment. Homogenization is also known as micronization, or more simply, particle size reduction. However, before the desired particles within the cell can be released and studied, another step must first take place: cell disruption. Cell disruption is defined as the act of breaking particles apart. There are numerous forces at play, all of which can be leveraged to disrupt and lyse cells. These forces include impact, shear, turbulence, and cavitation. The type of cell that you wish to disrupt helps drive the decision on which force should be used. For example, a particle with a harder cell wall, such as yeast, sees the best results with the use of the force of impact. On the other hand, a more delicate particle, such as E. Coli, would benefit from a gentler force such as shear. Other cell types see the best results when utilizing turbulence or cavitation. When selecting the best homogenization equipment for the task at hand, it is important to have a general understanding of the different types of forces, as well as the forces that should be used for your particular application. This is where BEE International comes in. Our technology allows for the use of multiple forces that can be tweaked and adjusted to yield the highest quality results. Our equipment offers numerous benefits to the end consumer. Our homogenizers are easy to use, produce a higher yield in less time than our competitors, and allows for the production of repeatable, reliable, and scalable results. To learn more about the homogenization equipment that BEE International has to offer, please contact us today. We would be more than happy to assist you with your next manufacturing project. Homogenization is defined as the reduction of particle size of any given molecule. It is a process that is often used in the pharmaceutical, biotech, cosmetic, and pharmaceutical industries. 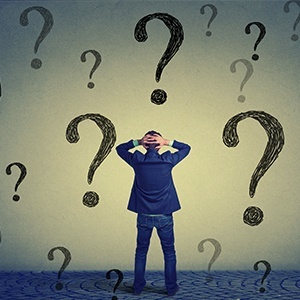 However, before embarking upon the journey to select the right homogenizer for the job, it is important to first have some vital knowledge under your belt. 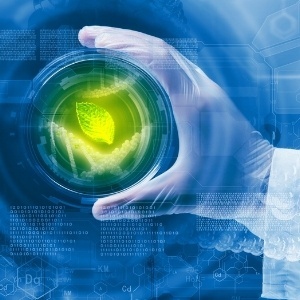 In the world of homogenization within the biotech industry, it is possible to homogenize both plant and animal cells. However, what are the differences between homogenizing these cells? Are there any similarities? And most importantly, how can a homogenizer help with this task? We are here to answer all of your burning questions; continue reading to learn more about plant and animal cell homogenization. Animal cells contain a fragile membrane which separates intracellular components from the outside – or extracellular – environment. 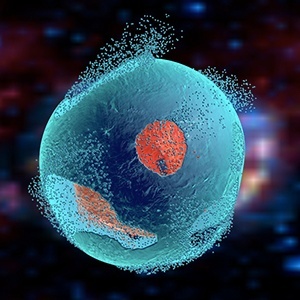 Because of the fragility of these cells, a gentle force alone – usually liquid shear – is enough to rupture these cells while at the same time preserving the delicate intracellular components, such as proteins or molecules, that are to be studied. In addition to traditional homogenizing equipment, animal cells can also be ruptured through other means: a Potter-Elvehjem homogenizer, a glass/Teflon homogenizer, or even a Dounce hand homogenizer. Plant cells, on the other hand, often have tough, rigid cell walls that take a lot more force and effort to be broken. Typically, heavy mechanical forces, such as shear, cavitation, and pressure, are used to rupture these hearty cells. Aside from mechanical disruption, chemical disruption can also be effective in rupturing the cell walls to enable the study of what is inside. Although plant cells are more durable than animal cells, it is still important to make efforts to reduce the damage that can be done to cell organelles and other important artifacts. To learn more about the homogenization equipment that we have to offer, as well as how we can help with the process of homogenizing plant and animal cells, please contact us today. 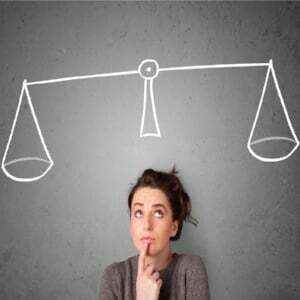 Alkaline Lysis vs. High Pressure Homogenization: Which is Better? 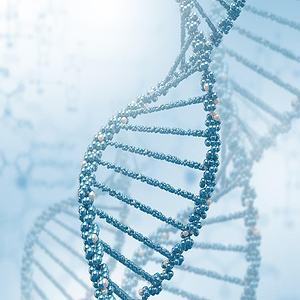 In the world of biotechnology – more specifically, the field of molecular biology – the process of lysing cells is an important (and often complicated) task. There are two common methods of accomplishing the goals of lysing cells – alkaline lysis and high pressure homogenization. 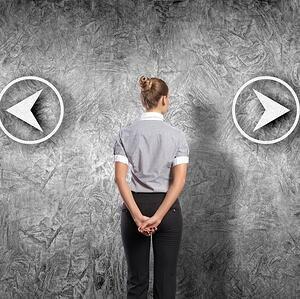 Continue reading to learn about both methods, as well as which method would work best for your industry’s needs. The first step in alkaline lysis involves spinning down the cells in order to concentrate cellular material. This is often done in a centrifuge containing the sample as well as a supernatant. After the sample is centrifuged, the supernatant is discarded and the desired cells are resuspended in buffer. After resuspension, the cells are then able to be lysed. The lysing agent – often sodium hydroxide – works to disrupt and lyse the cells. Our equipment is suitable for a variety of applications, from small scale lab use, all the way to larger applications, such as pilot plants and 24/7 manufacturing facilities. Our high pressure homogenizers include the Nano DeBEE, Micro DeBEE, and Mini DeBEE for laboratory use, as well as DeBEE 2000, DeBEE 3000, and DeBEE 4000, suitable for pilot plant and industrial use. For more information about any of our high pressure homogenization equipment, as well as information on how our products can best suit your needs, please contact us. In addition, our free eBook, “7 Key Factors to Consider When Choosing a Cell Lysis Method” can be downloaded for free here. What Does a Homogenizer Do to Cells in Order to Lyse Them? Homogenization, also known as micronization, is a technique utilized in a number of industries, including biotech, pharmaceutical, chemical, food, and cosmetic. This important process involves reducing the particle size of cells, tissues, or other samples, and allows for evenly distributed mixtures – also known as emulsions – to be formed. This is accomplished through shearing force, where the cells or tissues are forced through a narrow tube, orifice, or other small space. In the world of cell lysis, there are several methods used to lyse cells, including mechanical disruption, sound waves, manual grinding, and homogenization. Focusing solely on the technique of homogenization allows us to break down cell lyse methods even further. Here are the three types of homogenization equipment that are commonly used to accomplish this feat, as well as an explanation of how each type of homogenizer works to lyse cells. The Dounce homogenizer consists of a round pestle, often made of glass, that is manually driven into a glass tube to disrupt cells. This machine works to gently lyse cells, which is beneficial when working with sensitive types of tissue. However, it is a time consuming (and very manual) process, often yielding slow throughputs. A Potter-Elvehjem homogenizer is made up on a pestle – either manually or mechanically driven – that is driven into a rounded vessel. Similar to the Dounce homogenizer, the Potter-Elvehjem homogenizer manually disrupts and lyses cells; its efficacy and efficiency is determined by the speed at which the strokes are administered by the user. A French Press, while more expensive than both the Dounce and Potter-Elvehjem homogenizers, is more efficient than either. This machine consists of a piston that applies high pressure to a sample, forcing it through a small hole to disrupt and lyse the cells. While effective, the French press is similar to the Dounce homogenizer in that it results in low throughput. The combination of these three forces allows our homogenizers to accomplish the goals that many other homogenizers cannot. BEE technology supplies each of these mechanical forces with greater maximum intensity, allowing for higher shear rates, in-line cavitation, and economically scalable results. Cell disruption – the process of releasing biological molecules from inside a cell – is a common method utilized in a variety of manufacturing industries, including pharmaceutical, cosmetic, biotech, and R&D settings. In order to thoroughly study and analyze the behavior of molecules, the cells that produce the molecules in question must be disrupted. Disruption of cells can be achieved in numerous ways, including cryopulverization, nitrogen decompression, or through using a homogenizer. Each method comes with varying degrees of complexity, ease, and success. 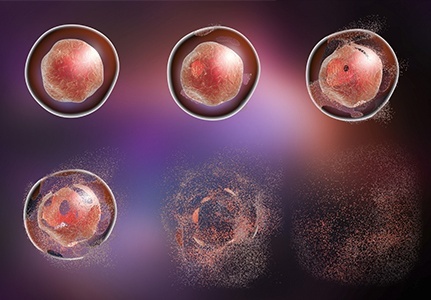 Cyropulverization is one way of accomplishing cell lysis, and is most often used for cellular samples with a tough outer matrix, such as cartilage, connective tissue, or seeds. In this method, the samples are reduced to a powder through the use of liquid nitrogen and impact pulverization. This method, while successful, is often time consuming and expensive. Nitrogen decompression, as the name suggests, uses large quantities of nitrogen to achieve cell lysis. In this particular method, nitrogen is dissolved in the cell under very high pressures. When the pressure is released, the nitrogen violently escapes the cell, causing disruption and breakage of the cell walls. While nitrogen decompression is successful in disrupting certain types of cells – plant cells, bacteria, and other fragile cell types are most receptive to this treatment – it has not been proven to be effective in disrupting cells with tougher outer matrices, such as yeast, spores, and fungus. Homogenization is arguably the most widely used method of cell lysis, especially for small volumes of cells and/or cultured cells. This method involves the use of shearing force on the cell. This is achieved by forcing the small cell through an even smaller sized orifice. This removes the outer layer and lyses the cell. BEE International offers a number of high-quality homogenizers to meet the needs of any industry when it comes to the process of cell lysis and disruption. Our laboratory grade homogenizers include the Nano DeBEE, Micro DeBEE, and Mini DeBee – all three are easy to use, offer consistent and reliable results, and easily scale up for full scale production. In addition, our homogenizers offer maximum experimentation capabilities, the ability to change flow, pressure, shear, and impact settings, and offer high pressures up to 45,000 PSI for maximum effectiveness with cell lysis and disruption. Production or Research & Development? Whether you need a high pressure homogenizer for R&D experimentation or large production volumes, BEE International has the right equipment for you. Our Nano DeBEE Laboratory Homogenizer is ideal for laboratory use for a broad range of applications including cell disruption, particle size reduction, nano/micro emulsions and dispersions. Our industrial homogenizers provide high yield cell rupture and efficient particle size reduction in fewer passes. Click here to view all of our high pressure homogenizer products. Is it a good fit for my product? When choosing a high pressure homogenizer, always ensure that it is the right fit for your particular product and manufacturing needs. Take into account the volumes that you will be processing, the frequency of your production runs, and the regulatory requirements associated with manufacturing your product e.g. pasteurization or SCADA. Easy to clean and maintain? Regulations require certain products to be manufactured on equipment with CIP capabilities. We understand these rigorous industry standards and customer requirements; therefore our pilot plant and industrial homogenizers are all CIP. Contact us to schedule a professional service for your unit or inquire about our annual Preventive Maintenance Agreements. A reliable and specialized company? BEE International is a reputable company with homogenizers operating in commercial and academic facilities across the globe. We are knowledgeable and experienced in every aspect of high energy mixing in terms of cell lysis and particle size reduction, and we want to share that knowledge and experience with you. We provide training upon or before installation, and also offer additional training at any time further down the line. We know that a high pressure homogenizer is an expensive piece of equipment and that you want to get your money’s worth out of it. Our technical support team are standing by to help you troubleshoot any small issues or answer your operational questions. BEE International is your partner in developing new products and improving your existing ones. Click here to learn more about our application support and sample testing program. What Is Cell Lysis & How Can You Make the Process More Efficient? Cell lysis is the rupture of the cell membrane resulting in the release of cell contents, and the subsequent death of the cell. Cell lysis can occur naturally, for example, through a viral infection or osmosis. In research laboratories and in industry, cell lysis is often used to break open the cell and study its contents. Cell lysis can be achieved through mechanical or chemical methods. Mechanical cell lysis techniques include high shear mixing, traditional homogenization, sonication, grinding, freeze/thaw cycles, and high pressure homogenization. Chemical cell lysis techniques include osmotic lysis, and the use of detergents, chelating agents, or chaotropic agents. The success of a cell lysing process depends on several factors. Firstly, the process should be flexible, as different cells require different cell lysis strategies. The process should be relatively easy to perform, and result in a high yield in a short time. Lastly, results should be consistently reproducible and scalable. The first step in efficient cell lysis is choosing the correct method for your particular sample. What works for one type of cell may not work as well (or at all) for other cell types. You should also take your resources (time, budget, skill level of laboratory staff etc.) into account when deciding on a method. Take the freeze/thaw method, for example. This method involves freezing a cell suspension and then allowing the material to thaw at room temperature. This causes the cells to swell and ultimately break as ice crystals form during the freezing process and then contract during thawing. Multiple cycles are often necessary, making the process quite time-consuming. While this method is suitable for lysing bacterial cells and algae, it is not very effective for harder plant materials, which may instead require a stronger mechanical force like a mortar and pestle or a tissue grinder. BEE International’s unique, modular technology allows you to gently rupture cells without damaging the valuable intracellular materials. You are able to control the pressure, allowing for rupture of a variety of cell types. No harsh chemicals are introduced into the process, and all results are 100% scalable to manufacturing. For more information on cell disruption, download our free eBook: 7 Key Factors to Consider When Choosing a Cell Lysis Method or contact us today!